By my count a total of sixty-two typhoons (known as hurricanes on the East Coast) raged through the western Pacific during our four years on Guam. A few of those achieved "Super Typhoon" status, meaning their winds exceeded 150 mph. 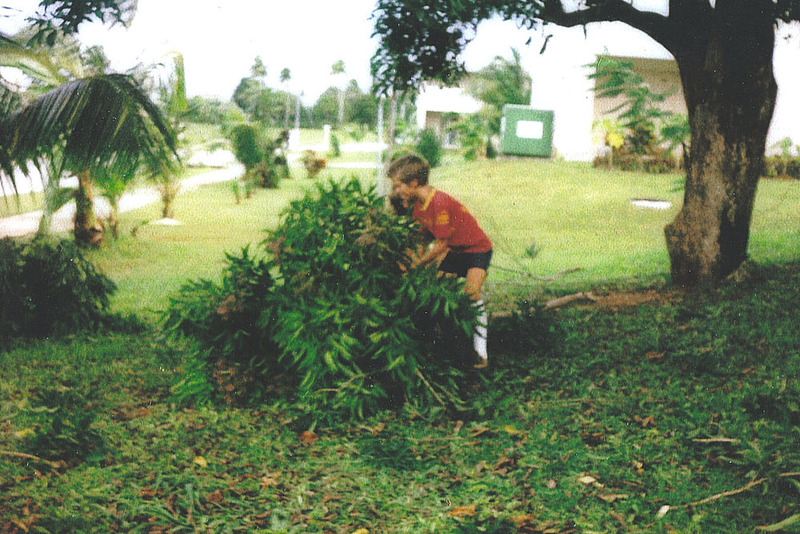 The typhoon season generally ran from June-December and about four months after we arrived on Guam we braced for the northward moving Category 2 Typhoon Phyllis in mid-October 1978. Phyllis swung to the west but right on her heels approached Category 5 Super Typhoon Rita from the east. She formed near the Marshall Islands on Octber 15 and while moving westward soon achieved Super Typhoon status. Her winds tipped the scales at 180mph! As predicted by experts, she took a track to the south of Guam and passed by on October 24. Despite avoiding a direct hit small island still endured quite a beating. We were without power for a few days and many of the roads were impassable. Unfortunately, Rita continued west and ripped across Luzon in the Philippines killing over 400 people. We were lucky with Rita. 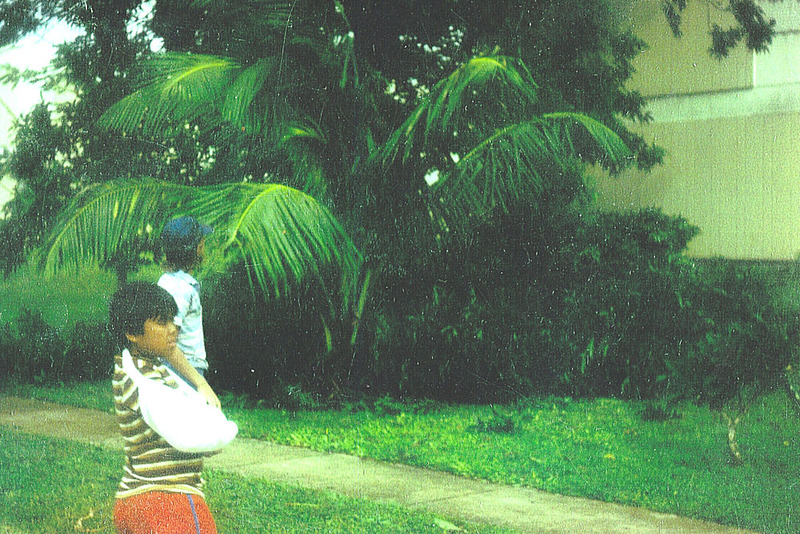 Two years before we arrived Super Typhoon Pamela devastated Guam in May 1976. In the years after we departed Super Typhoon Omar, in August 1992, and Super Typhoon Paka, in December 1997, wrought similar havoc. Paka had gusts recorded at 236mph! Miraculously, no one was killed on Guam by Paka, but the island experienced widespread destruction and suffered a complete loss of power. Paka was so powerful that her name has since been retired. Below are a few photos taken in the days after Rita made her presence known. The large tree on the side of our house took a beating and we are cleaning up the mess. My dad surveying the damage in our yard. My friend Duke Rogers with the broken arm. I believe I am standing behind him looking at the damage. 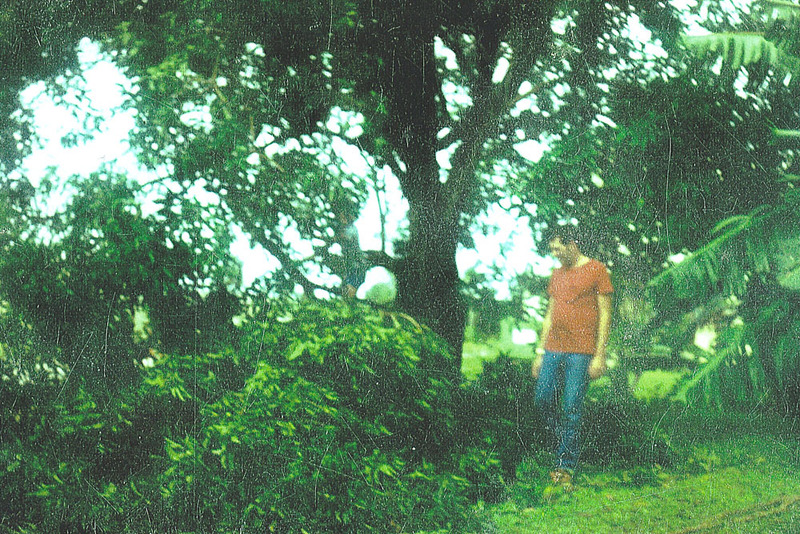 That's me (red shirt) and my sister Carol (obscured behind me) cleaning up the branches. I have changed clothes so it must be at least a day later that we finally cleaned the yard up. 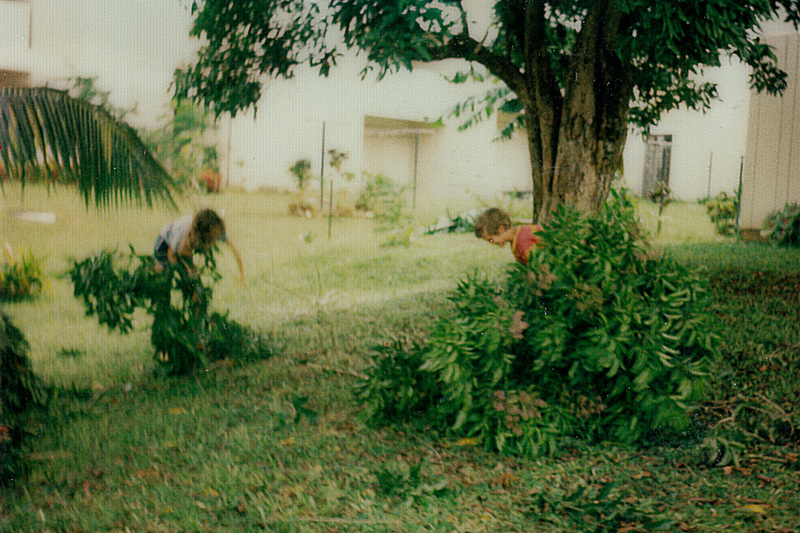 Another pic of me and Carol cleaning up the branches. 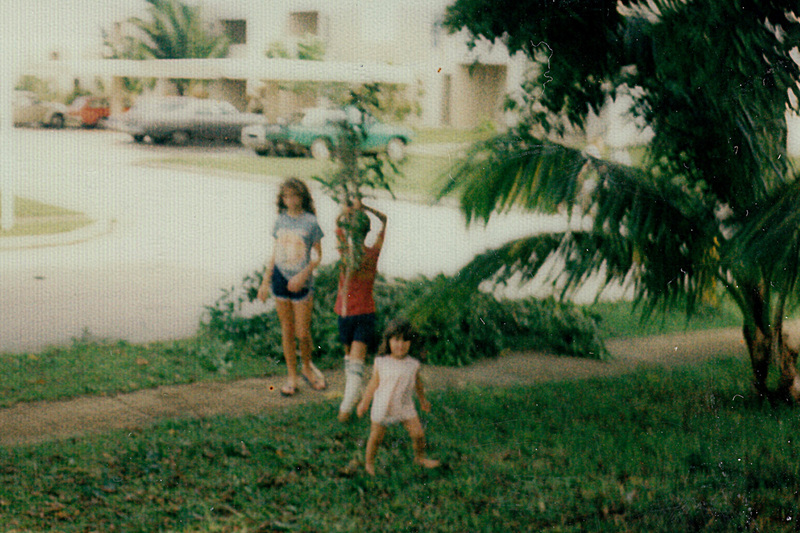 Carol, Jeff, and Alison fooling around in the yard.